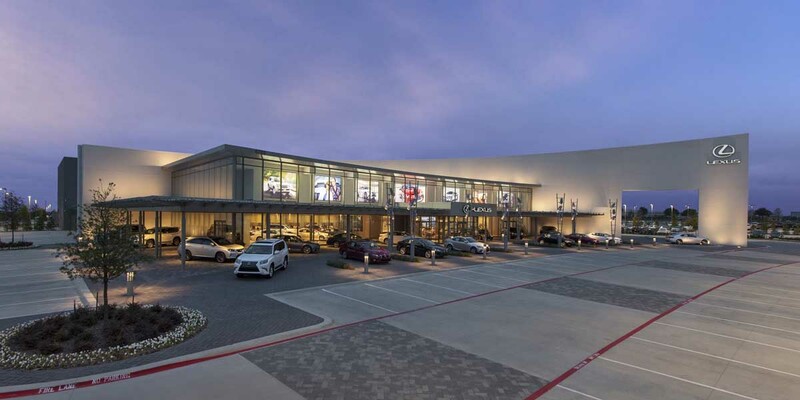 In late September 2013, Park Place Lexus Plano opened what may be considered the largest Lexus dealership in the U.S. The brand new 170,000 square foot facility is absolutely incredible and designed for service. This project was the first by Park Place the utilized all the latest offerings by MDL such as Zonal Tracking. As the customer pulls into one of five (5) service lanes, they are instantly identified in both their vehicle and returning loaner. Personal recognition is the norm at this store. In addition, the guest vehicle is fully tracked as the car travels in and out of the shop through one of four (4) MDL monitored roll up doors. For the first time, MDL provided discrete side wall mounted enclosed RFID antennas to balance performance and the look / design of the modern facility. Truly cool and functional engineering. Finally, for ultimate service MDL tracks vehicle progress through two (2) distinct car wash lanes. All in all, this was one of the most complex projects undertaken by MDL to date. The Park Place team uses this technology to create a world class dealership for each serviced guest.